January 28th, 2019 - Posted in New York Travel Guide. 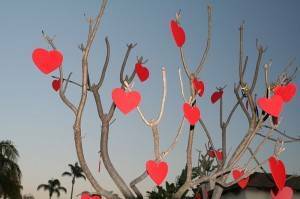 Everyone wants to show their sweetheart just how much they care on Valentine’s Day! When you’re in New York City, it’s easy—the city has an exciting energy, breathtaking sightseeing, world-class dining, and plenty of unique shops to find the perfect gift. 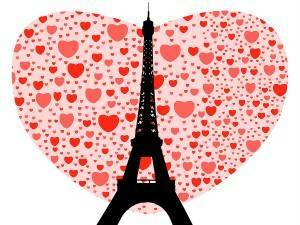 However, because New York is a world-class city, Valentine’s Day plans may also come at a world-class price tag. Fortunately, you don’t have to be rich to create a thoughtful, romantic and exciting Valentine’s Day with your significant other! 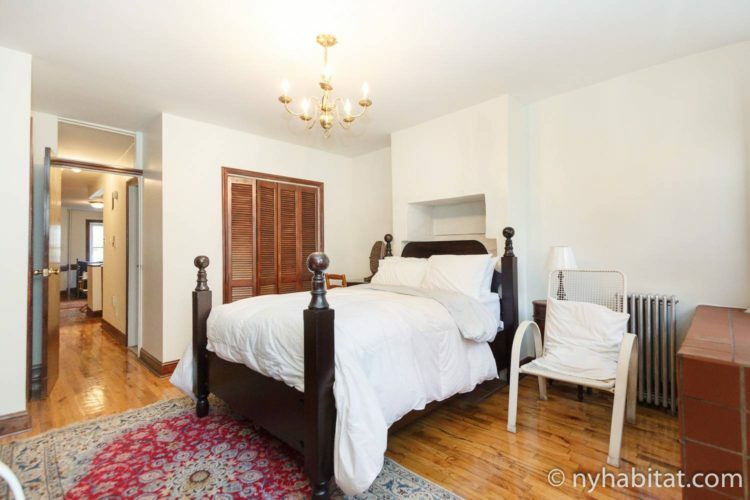 With some creative ideas and the cost advantage of renting a vacation rental with New York Habitat, you can plan a romantic getaway without breaking the bank. Is there anything more romantic than a bouquet of roses? 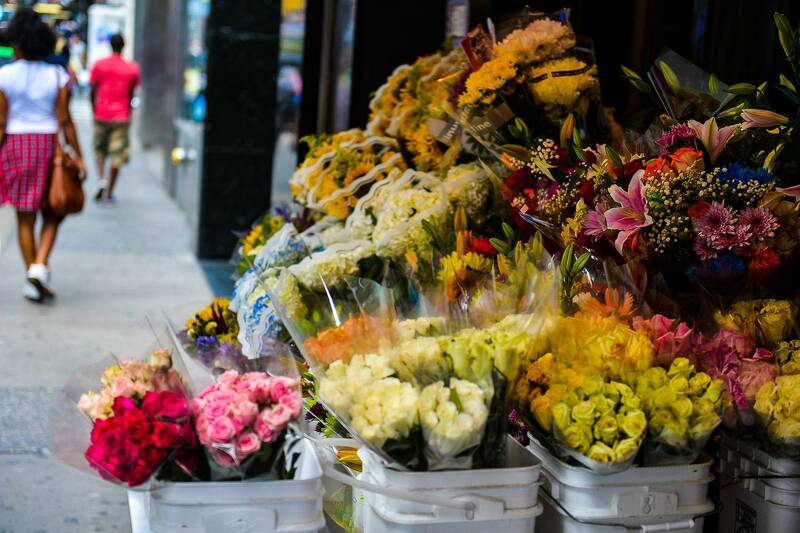 New York City makes flower shopping easy on Valentine’s Day thanks to its abundance of flower markets, nowhere more prevalent than in the Manhattan neighborhood of Chelsea. The stretch of 28th Street between 6th and 7th Avenues is known as the Chelsea Flower Market for its abundance of flower wholesalers in the area. Besides making it simple to construct the perfect bouquet, you’ll also enjoy a burst of brilliant blooms in the storefronts (and sometimes out on the sidewalk, though this is less common in the winter). A bouquet from Chelsea makes a great Valentine’s Day gift, and is a sweet and thoughtful way to brighten up the room in your vacation rental! Times Square is a popular destination year-round, but on Valentine’s Day, it becomes a great spot for couples! 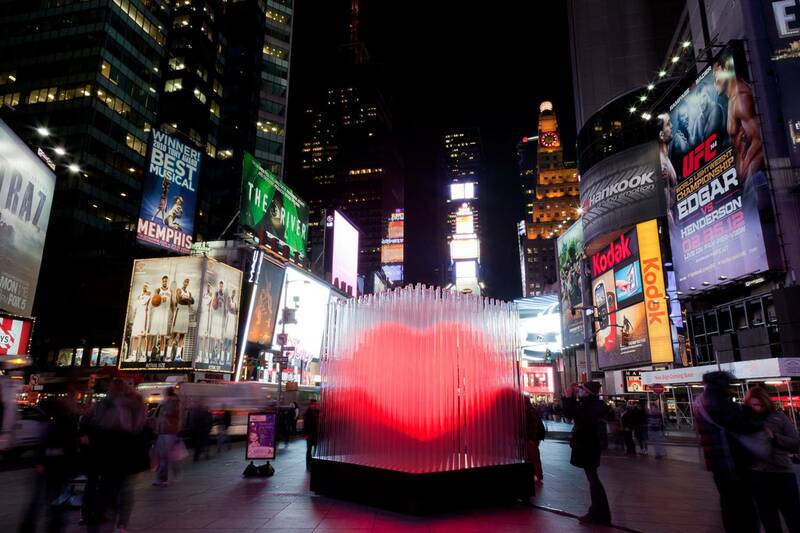 Every year, Times Square Arts commissions a love-themed sculpture to celebrate Valentine’s Day. 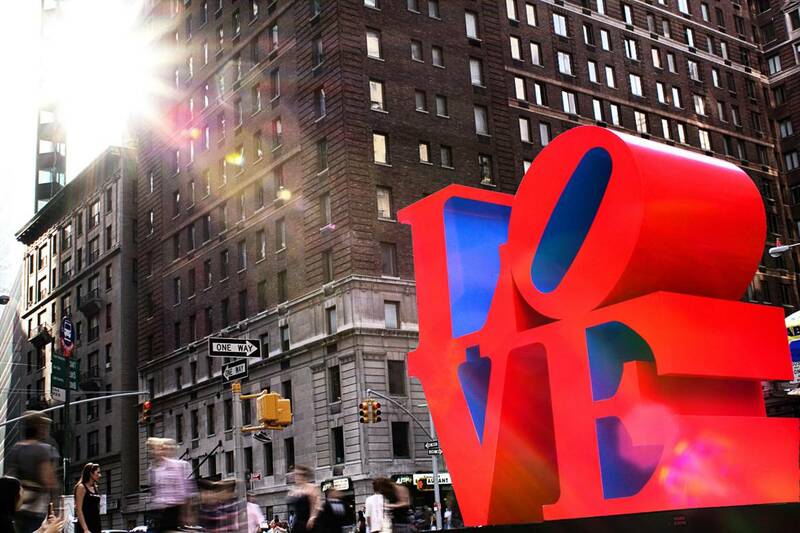 The 2019 design is ‘X,’ designed to represent crossed paths in the heart of New York City, as well as the use of the letter x to represent a kiss. You can pull your sweetheart close for a romantic photo or a playful selfie in front of the statue, all with the bright lights and the thrilling pulse of Times Square around you! Times Square is also a popular destination for couples looking to propose or renew their vows on Valentine’s Day. Enjoy the atmosphere of love, or consider popping the question to your significant other yourself! Another idea for those looking to do something both romantic and classically “New York” is to take a stroll through Central Park! 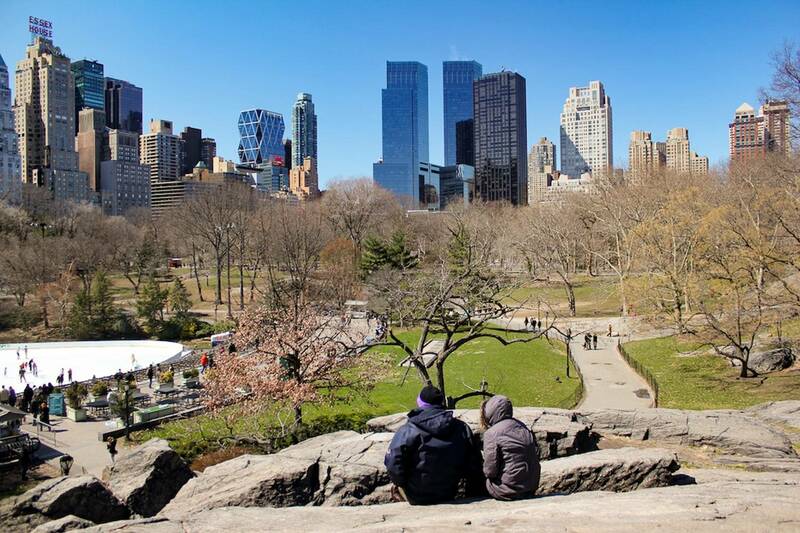 One of the crown jewels of Manhattan, the park is full of vistas, trees, meadows, and plenty of secluded spots for enjoying a quiet moment together. Grab a cup of hot chocolate to keep your fingers warm (the one that’s not holding your partner’s hand, of course!) and if you’re lucky, you may even get to admire a dusting of snow in the park. You can also go ice skating at Wollman Rink for a little extra money—it’s a romantic winter activity in Central Park and great for an active couple. Creative couples will be in heaven in New York City, which is known for its renowned art museums including the Metropolitan Museum of Art, the Guggenheim Museum, and the Whitney Museum of American Art. 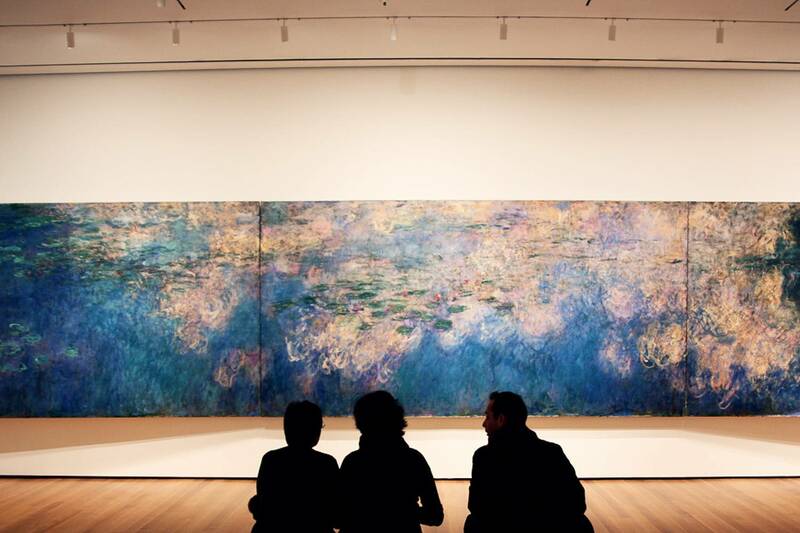 However, the MoMA (Museum of Modern Art) is our top pick for Valentine’s Day! Thought-provoking works of abstract and impressionist art, sculpture, and installations will inspire some creative and stimulating conversations between you and your partner. Plus, you can see dreamy (and very famous) works of art like Van Gogh’s Starry Night and Magritte’s The Lovers in person. There’s something about a spin on an old-school carousel that’s so sweetly romantic. If you head over to Brooklyn Bridge Park (and we recommend walking across on the Brooklyn Bridge), you and your sweetheart can entertain your inner child with a spin on Jane’s Carousel, a beautiful and unique restored merry-go-round from 1922. 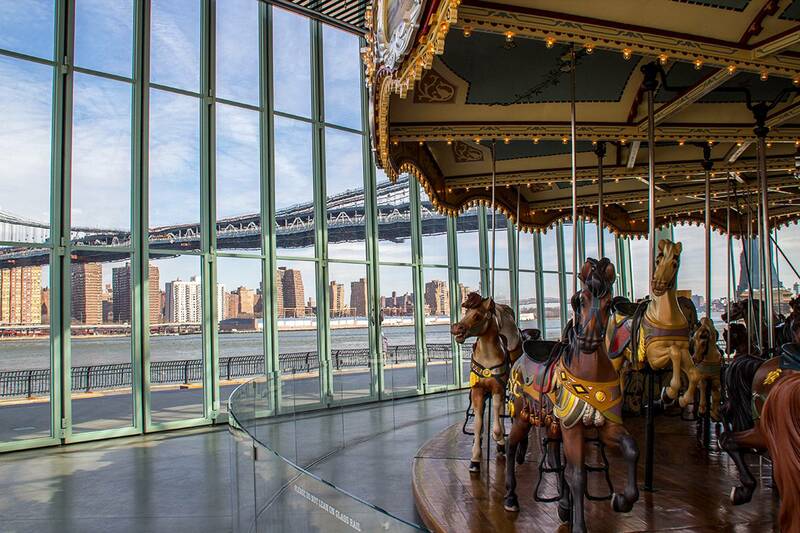 As an added bonus, the carousel is enclosed in a glass atrium with panoramic views of the East River, New York skyline and Brooklyn Bridge and Manhattan Bridge, so you can enjoy the stunning views out of the cold while you ride! Pick the perfect pony and then try to steal a smooch from your partner for a great photo opportunity. Eating out gets expensive quickly in New York, especially on Valentine’s Day, but you can still sample some of the finest cuisine in the city for less at one of the Big Apple’s many pastry shops and bakeries! Renowned chefs from all over the world have come to the city to set up shop, so don’t miss the chance to indulge your sweet tooth with the best of the best (besides, what’s more traditional to Valentine’s Day than chocolate?). 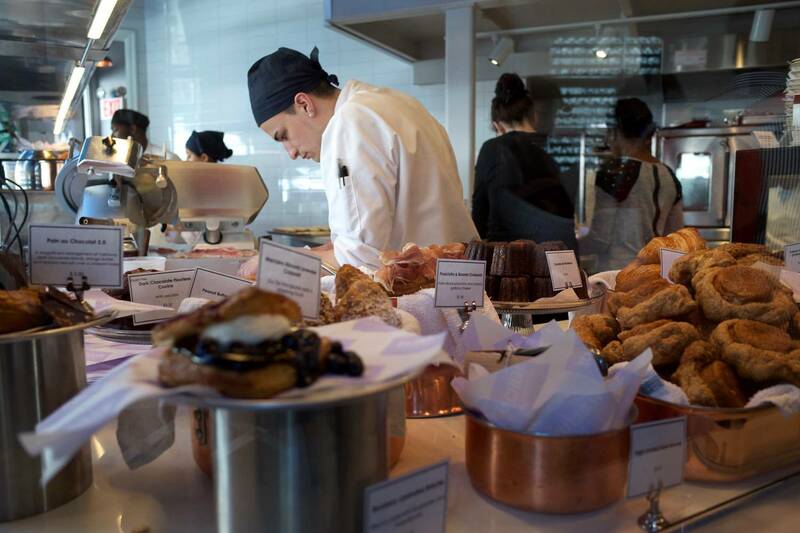 Some of our recommendations include Dominique Ansel Bakery, Lafayette, and Mille-Feuille in Manhattan, Bien Cuit and Almondine in Brooklyn, and Cannelle Patisserie and The French Workshop in Queens. Cost: Varies depending on the pastry and shop, but you can definitely get a yummy treat between $5 and $15! What better way to delight your senses on Valentine’s Day than with a stroll through the bright colors and sweet perfumes of beautiful flowers and plants? Even in the dead of winter, you can enjoy the beauty of tropical plants and flowers inside the conservatory of the New York Botanical Garden in the Bronx. Plus, there’s even more to explore outside, with trails, pine forests, and the arboretum. 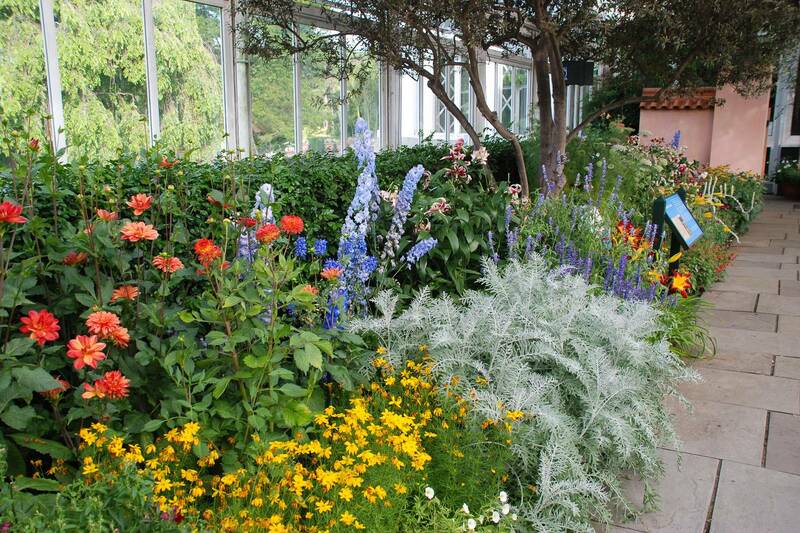 Or, you can visit Wave Hill Public Gardens (also in the Bronx) for more tropical plants in their conservatory and stunning views of the Hudson River on the grounds. 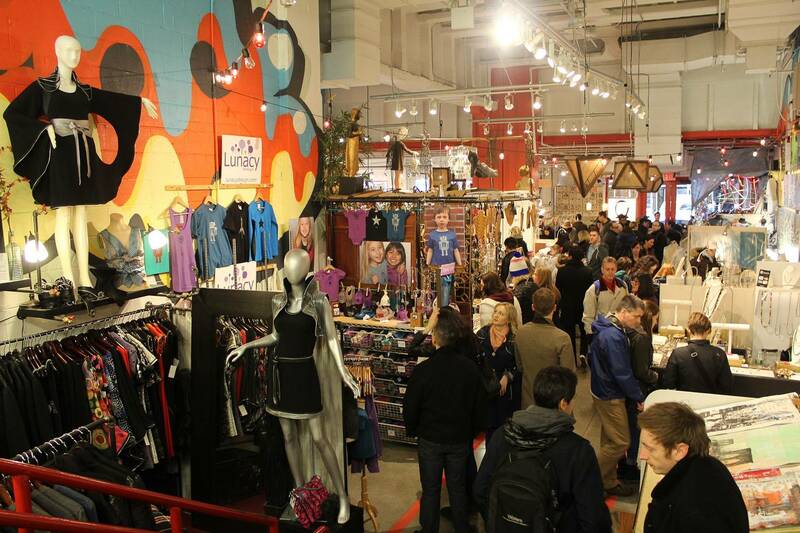 Chelsea Market is sure to satisfy couples of all kinds! With unique artisan goods for sale at the flea market Artists & Fleas, bookstores, chocolate shops, and more, you can browse for the perfect gift to your heart’s content and pick up something one-of-a-kind (within a variety of budgets!). Plus, we recommend going later in the day, as the dining options at Chelsea Market are top-notch and budget-friendly. You’ll find restaurants serving everything from counter-serve Mediterranean to a fancy seafood dinner. Another budget and unexpectedly romantic option is to order a classic New York pizza pie and get it delivered to your furnished apartment or vacation rental. 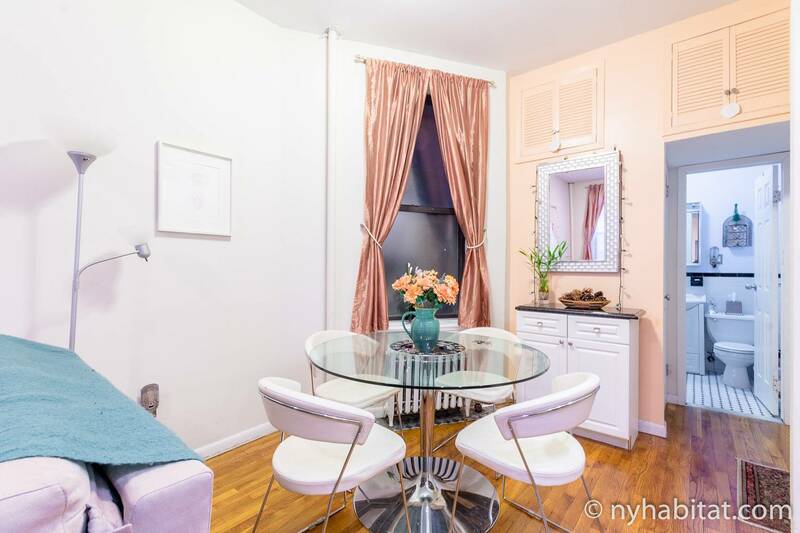 Dining in the privacy of your own apartment lets you spend some much-appreciated alone time with your sweetheart, and you’ll enjoy the comfort of your own private dining table (or sofa!). Plus, many pizza places can prepare the pie in the shape of a heart if you ask. Need some ideas? Here are our favorite pizza spots in New York! Movie dates are a tried-and-true classic and a great way to end the day, but in New York you can give yours an interesting twist! 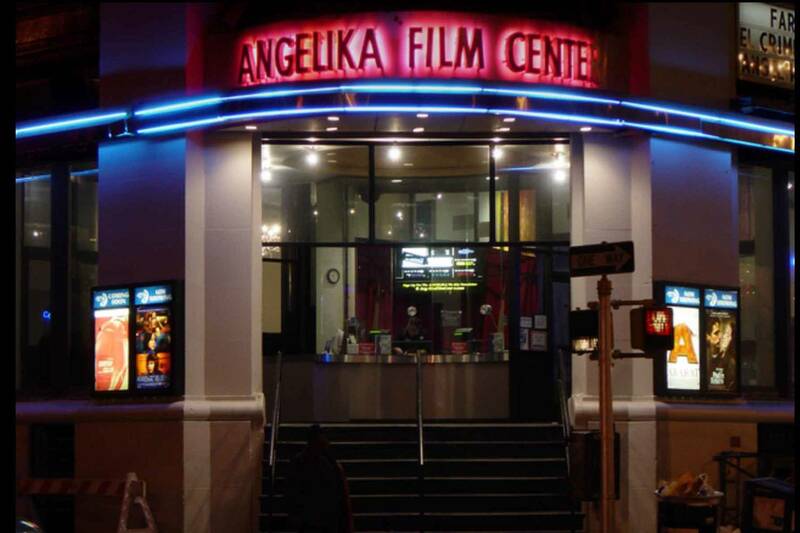 At the Angelika Film Center in Soho, you can see a variety of independent and foreign films, plus occasional Q&As with directors and film stars! The Angelika is also a quaint café. If you still have room after dinner, why not skip the popcorn and grab a macaron or a croissant to enjoy with your movie? 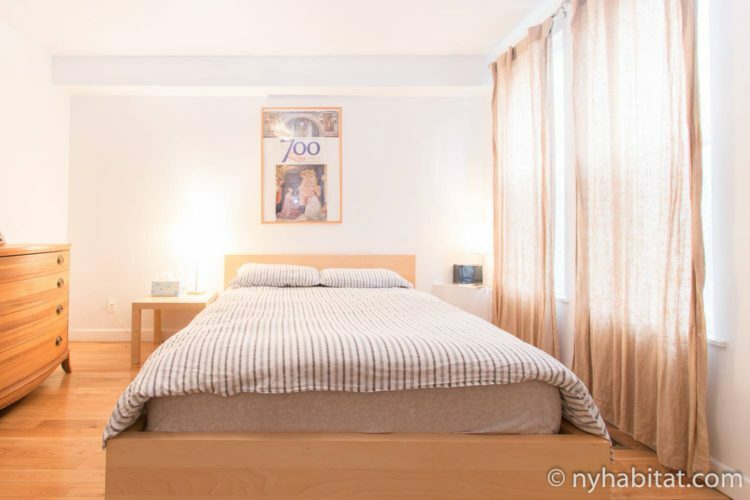 Finding a hotel in New York City is often one of the least budget-friendly parts of your trip (Business Travel News puts the average cost per night of a hotel in NYC at $392.95), but opting for a furnished vacation rental with New York Habitat can help you go easy on your wallet and give you a sweet and personalized place to retire at the end of the day. A private vacation rental gives you a bed to rest, but also a kitchen, living area and sometimes other amenities you won’t get in a hotel! 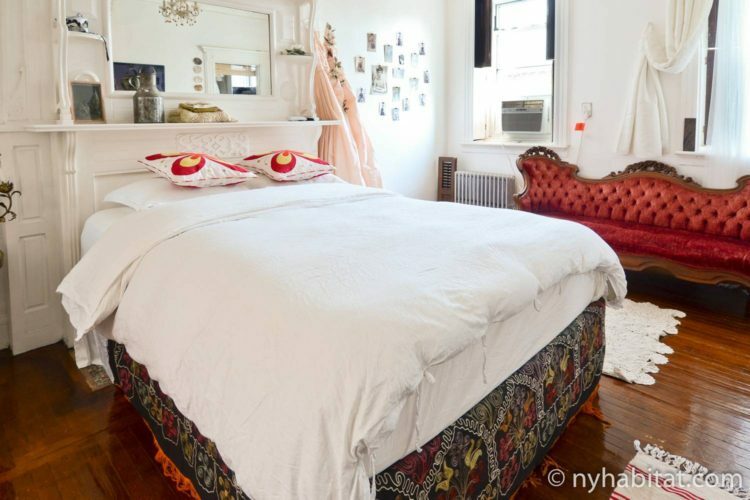 Plus, romance is all about thoughtfulness and personal touches, and you’ll love the individual personalities of authentic New York apartments. 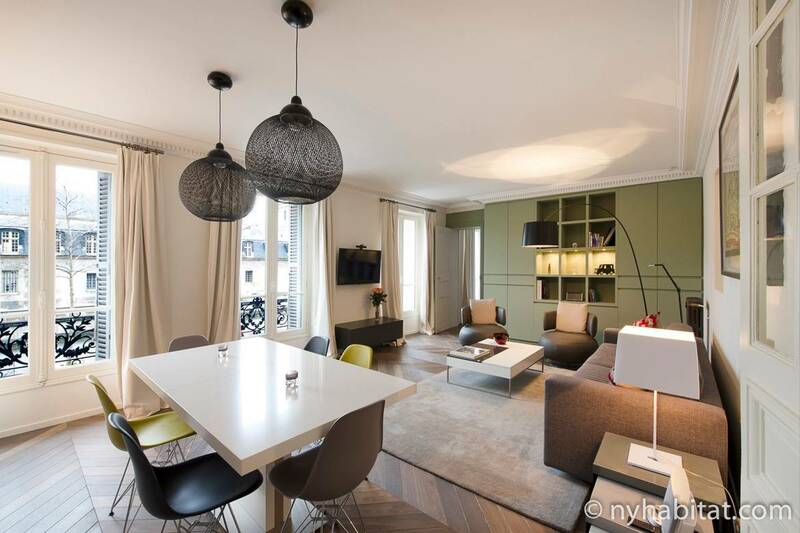 Finally, because you’ll be living like a local, apartments out of the most touristy (and loudest) parts of city are easy to come by and will give you plenty of privacy and rest. 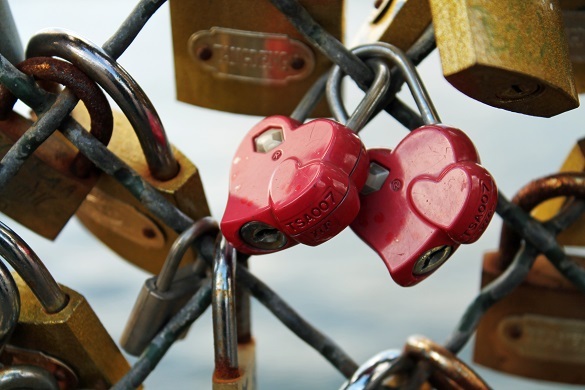 Browse our inventory online, or check out the romantic getaways we’ve picked! 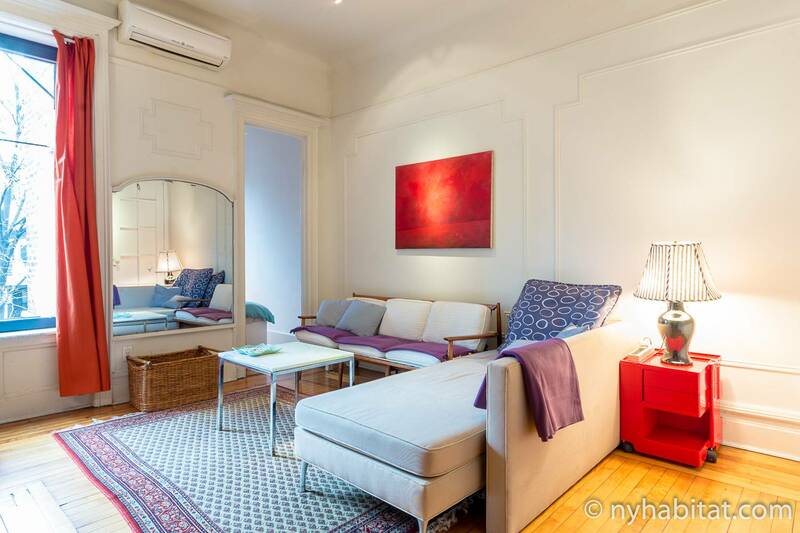 New Year’s Resolution: A New Apartment (Near Amazing Skating)!